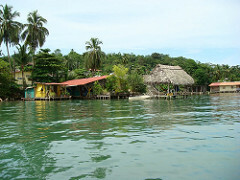 Now we move on to Bocas del Toro. 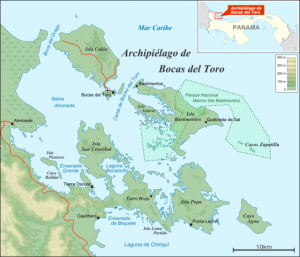 This group of nine main islands and dozens of smaller ones, is located off the Caribbean coast of Panama near the Costa Rican border. 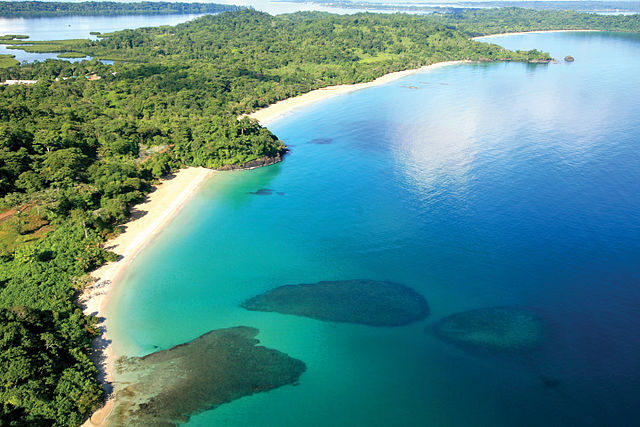 Bocas del Toro means “mouths of the bull” and is also the name of the province that the islands are located in. 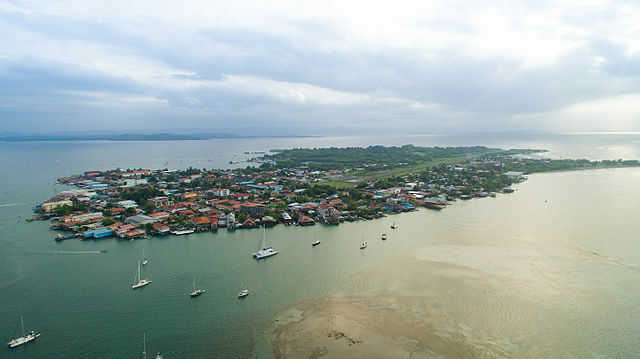 The Capital and main town is Bocas Town, located on the tip of Isla Colon, the most touristy of the islands. An Afro-Caribbean culture dominates in this town of under 15,000 residents. Although quite popular with a young international crowd that come to party at the numerous thatched bars on stilts, the islands offer much to every kind of traveler. Visitors to these lush islands, brimming with natural beauty, will have the sensation of being lost in time. Life slows down and leaves the hectic of the modern world behind. Wild jungles, small, colorful communities of friendly indigenous people, ecolodges and luxury accommodations and quiet white sand beaches beckon to those seeking either total relaxation or something more adventurous. Discovered in 1502 by none other than Christopher Columbus, the islands were mostly home to the Ngöbe-Buglé people and a relatively significant number of pirates until the 1800s when Jamaicans arrived to cultivate bananas and cacao. 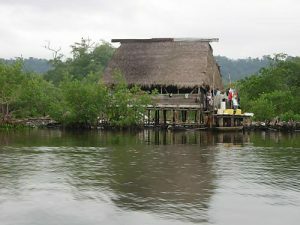 These newcomers brought the English language, which resulted in Bocas having a more Caribbean and less Latin feel to it. Most of the locals, however, are bilingual in Spanish and English. The islands are home to a huge variety of unique plant and animal species. Sloths, monkeys, Toucans, birds and turtles are all abundant. The Isla Bastimentos National Marine Park, located on Bastimento Island, the second largest of the inhabited islands, is home to 28 species of amphibians and reptiles who dwell in the park’s forests and mangroves. 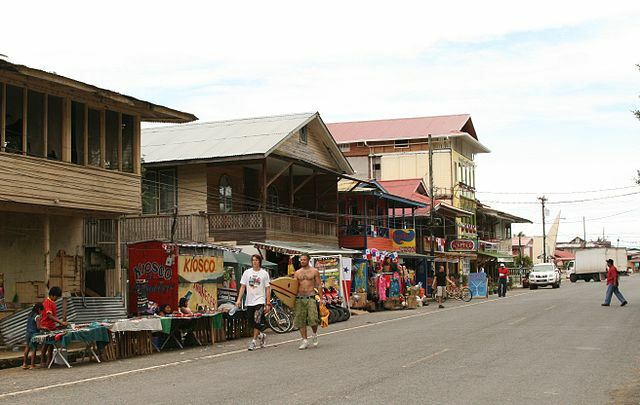 The town Old Bank, usually called Bastimentos by the locals, is the second largest settlement in the archipelago. The locals speak Guari-Guari, a mixture of English, Creole and Spanish. Colorful wooden houses on stilts, some built over the water, create a rustic picture of quiet and authentic Caribbean living. Other islands include Carenero Island, discovered and named by Columbus and another great destination for quiet contemplation and relaxation. You can walk around the island in one and a half hours, then enjoy some of the best seafood in Bocas del Toro at one of the beachside bars. San Cristobal Island has two of the best coral reefs and is home to three significant Indian villages. There are many small communities scattered over the islands, most of which have few roads and are best reached by private boat or water taxi. 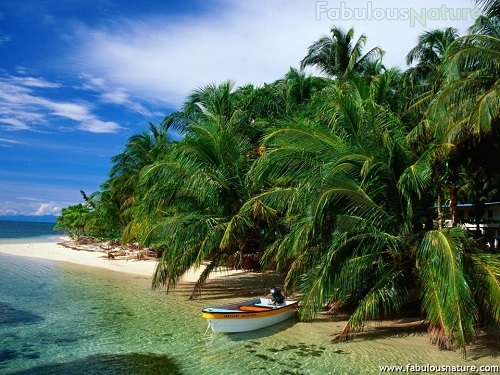 Bocas del Toro offers a truly unique experience to the visitor. It is still relatively unknown to many, but well worth exploring for its beauty, culture and experiences.